Have a unique adventure in Mind? 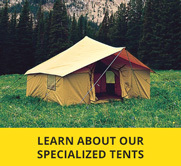 Choose from any of our specialized tent options. 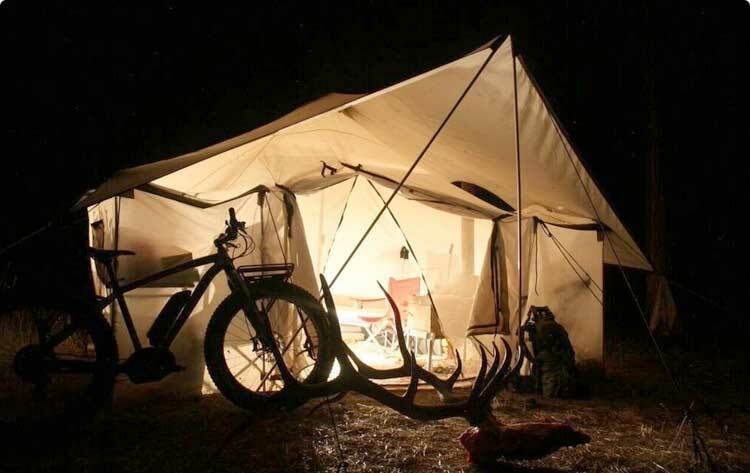 For a great base camp solution for a couple or a small family, check out our beautiful Spike tents. Constructed of our proprietary 250D Relite polyester, this material is fully coated and weighs much less than our heavier-duty canvas. 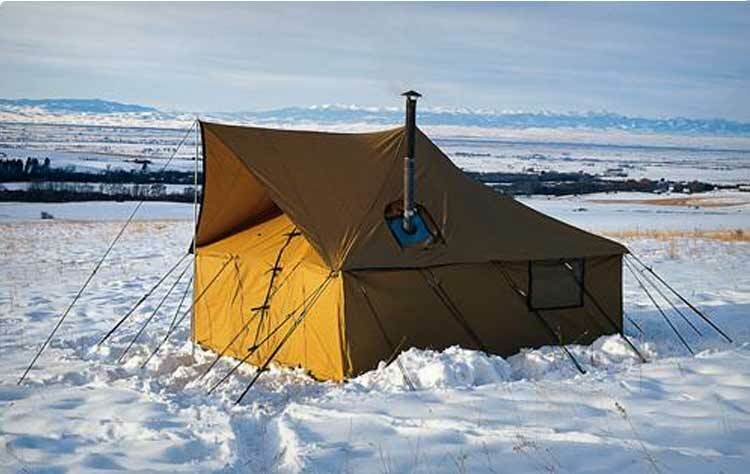 The Montana Lodge tent is one of our boldest and biggest, with its hexagonal shape, 10 oz. canvas roof, and 250D Relite polyester walls. The spacious interior sleeps five, with ample headroom and a centralized space for a stove. 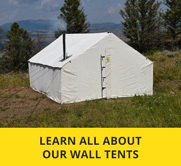 Montana Canvas has a wide variety of additional tents to offer our customers. These tents will meet the many needs of a family weekend outing or an adventure in the back country. Constructed of our ‘A’ grade treated traditional 10 oz. 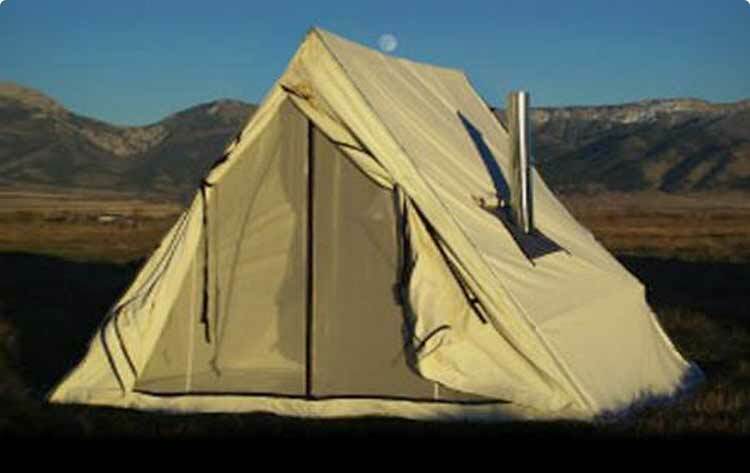 canvas material, the Montana Range tent is a simple, elegant wedge design allowing for highly-functional interior space and clean lines. 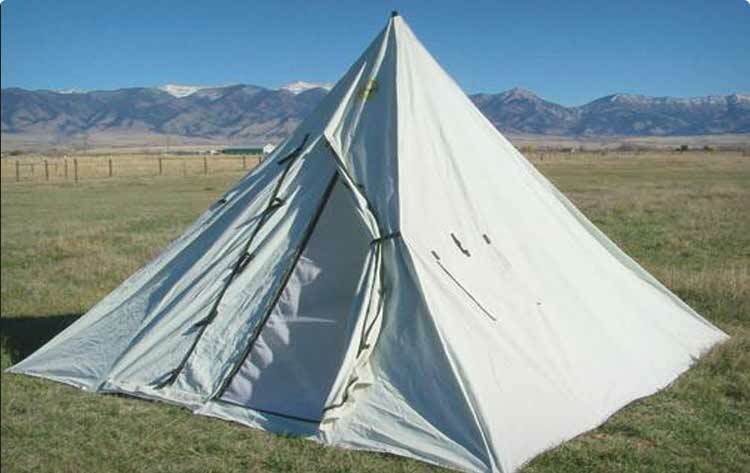 Also known as the “campfire tent,” the Montana Wedge tent is a traditional ‘A’ frame constructed with our traditional grade ‘A’ treated 10 oz. canvas material. 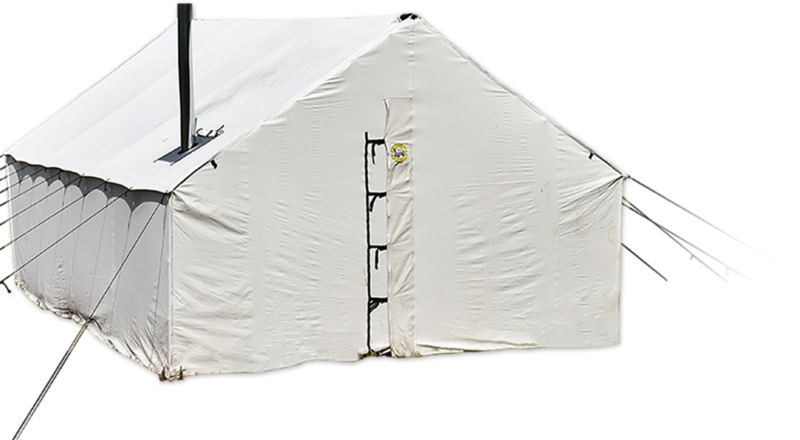 At 12′ x 10′, with an 8’ 6” peak height, this tent is durable, as well as portable. You won’t find a more authentic Sioux-style tipi unless you create one by hand. 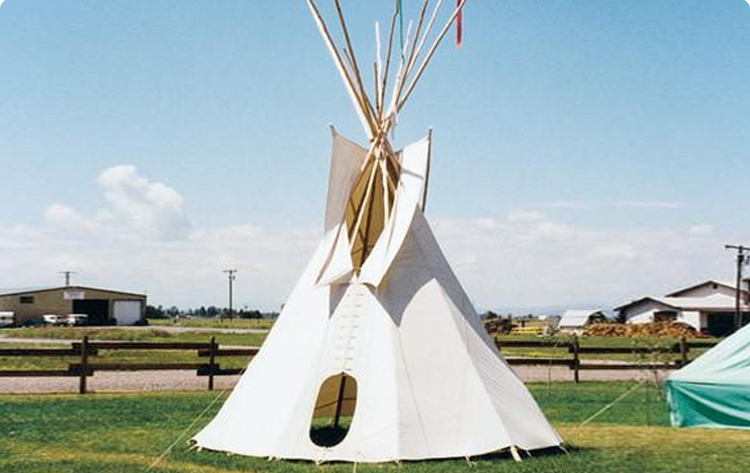 Comfortable, roomy and well-ventilated, the tipi’s design sheds the rain or snow, and it stays standing in high winds. The smoke flaps are adjustable. For optimum performance, we recommend using a liner. Not finding what you are looking for? We’re all about customization. Simply pick your base size tent and choose from a great selection of add-on features to build a tent made for your next adventure.